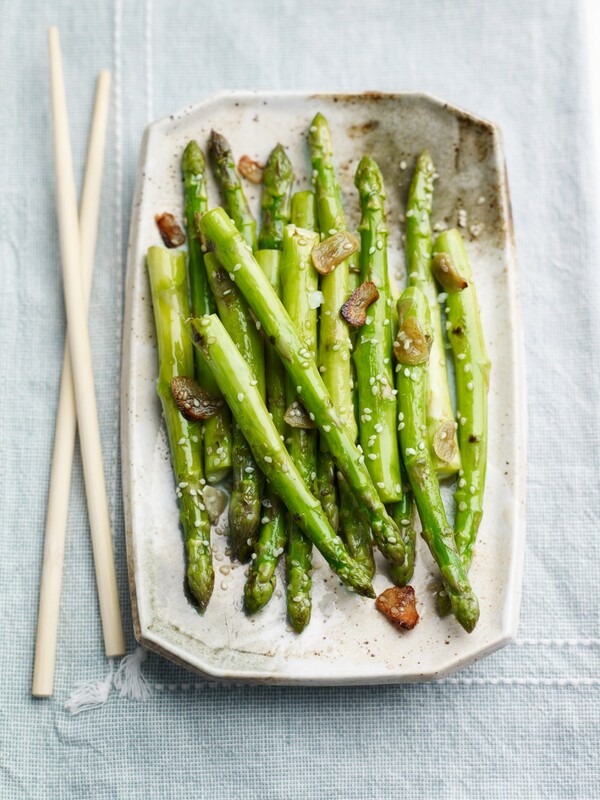 Heat the oven to 200C/180C fan, put the asparagus in a wide bowl with the sliced garlic. Drizzle over the oil and vinegar, sprinkle with salt and toss well. Transfer the asparagus and garlic to an oven tray (keep the bowl with the oil for later) and sprinkle over the sesame seeds. Roast for 10-12 minutes until softened and browning. Once cooked tip the veg back into the bowl and toss again in the retained dressing, add a little more salt if necessary and serve immediately.